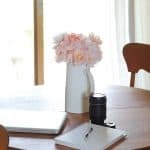 I have so many ideas for our home right now and I’m finding it hard to stay focused and really knock out the to-do list. 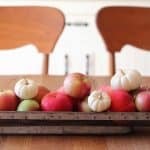 We are still working on our master bedroom, our basement (basically re-finishing the whole thing), my craft room, aaaand I would love to start on our kitchen too. Sometimes it really is all just too much to tackle at once! 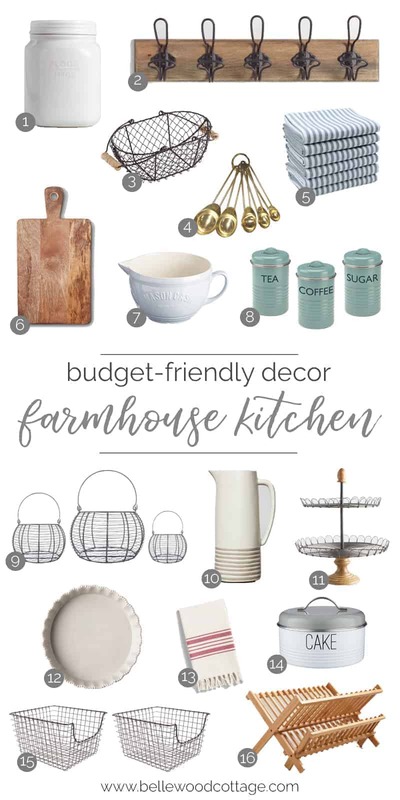 So I pressed pause and decided to focus on choosing a few accessories to give our kitchen/dining area a “finished” feel until I’m ready to tackle some of the larger projects. 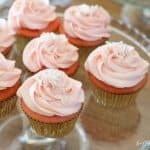 Please note that this post contains affiliate links which allow me to earn a small commission when a purchase is made. Read more here. 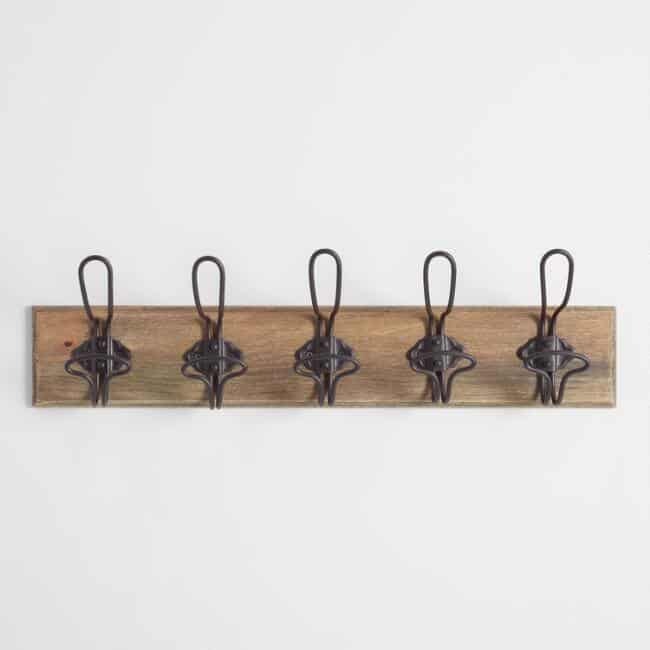 I’m loving this gorgeous industrial wall rack from World Market. Pretty and practical. 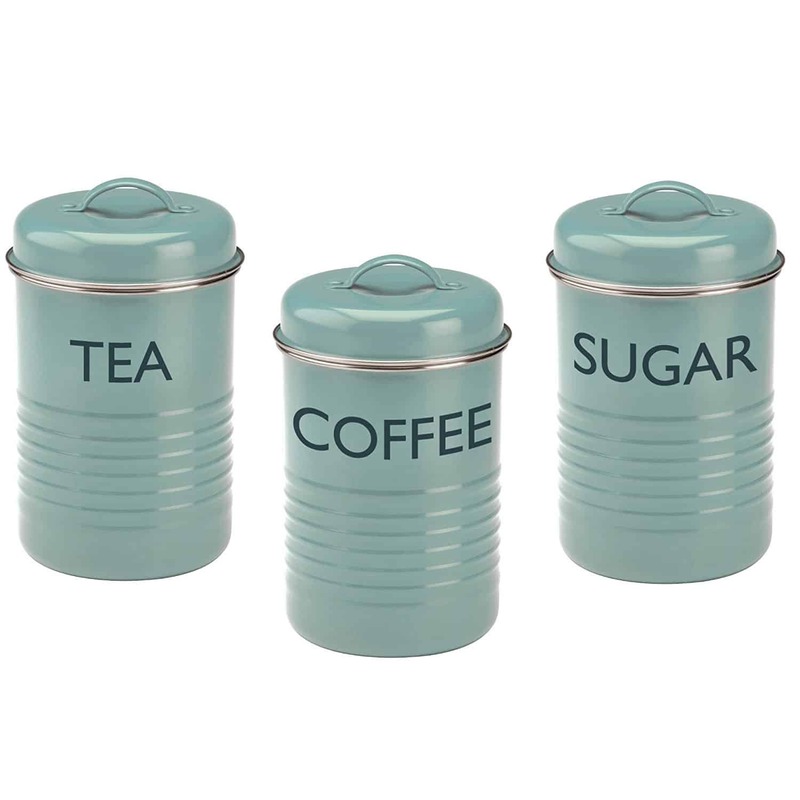 My first thought was to add this to our kitchen, but now I’m thinking it would be even better in our entryway (ya know, actually give my purse a place to live!). 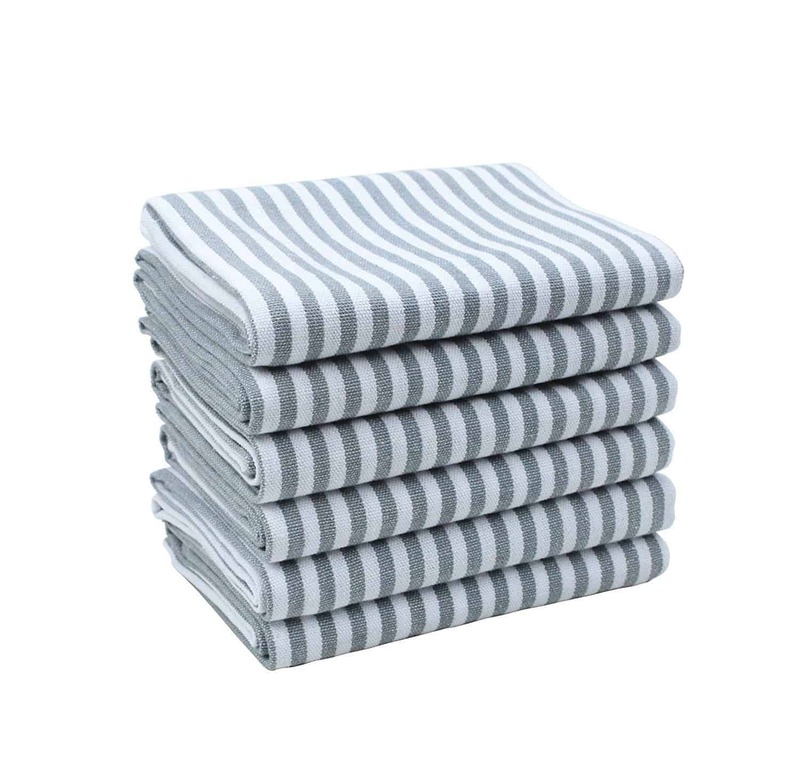 You can’t go wrong with basic farmhouse style towels, like these striped ones from Amazon. 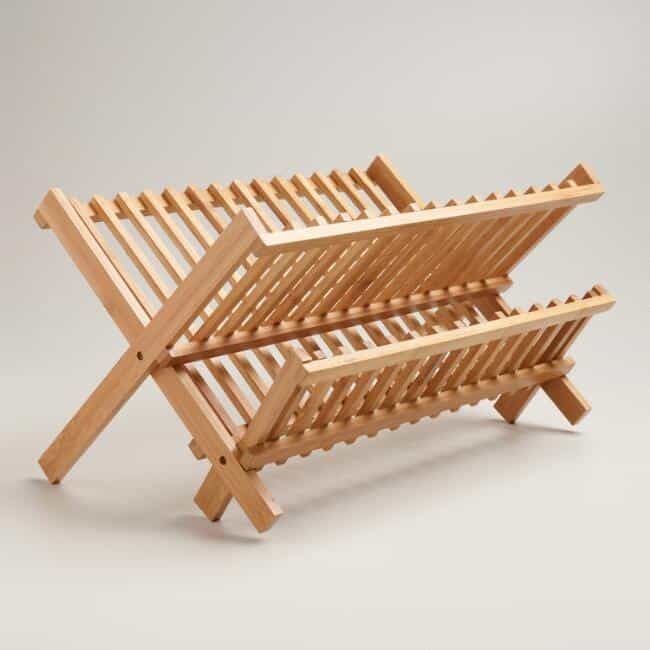 And I’m in the market for a new drying rack, but I’m not sure if I would like a wooden one. Anyone out there have one? What do you think of it? I just feel like it wouldn’t wear very well, being constantly wet? I think plastic is by far the most practical, but let’s be honest, not as cute. 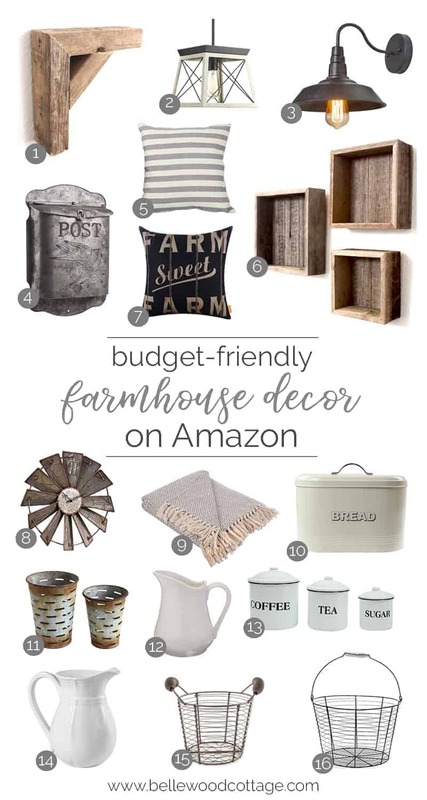 If you are in the market for some budget-friendly farmhouse kitchen decor, check out my full round up below!